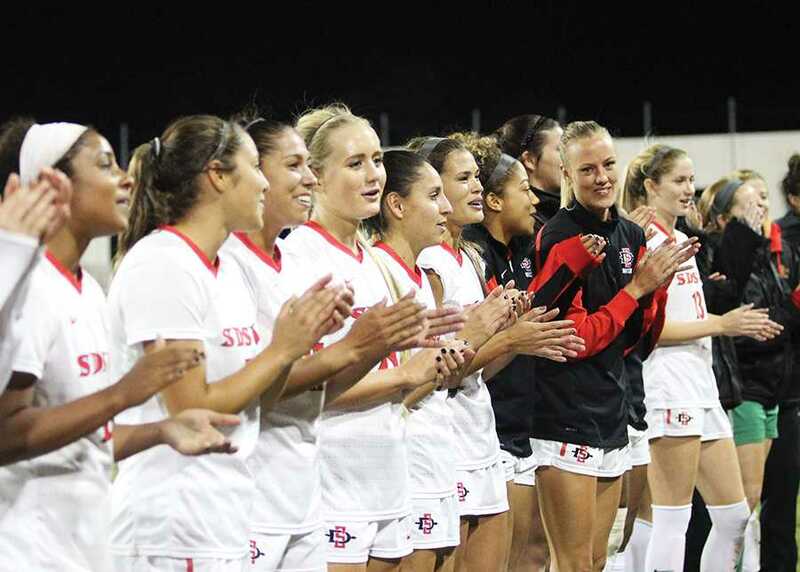 A season which ended so devastatingly for the San Diego State women’s soccer team should be remembered as a season for the ages. Although the wound is still fresh for a team who saw its fourth-straight Mountain West tournament title slip away within a span of 45 seconds, defining the 2015 season based solely on the bitter ending would be a crime. The pride far outweighs the melancholy. 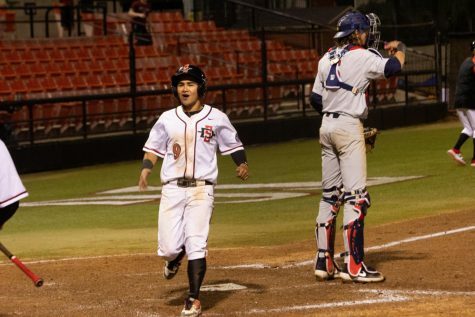 The Aztecs began the season with three straight shutouts, one of them being on the road against No. 17 University of Kentucky. 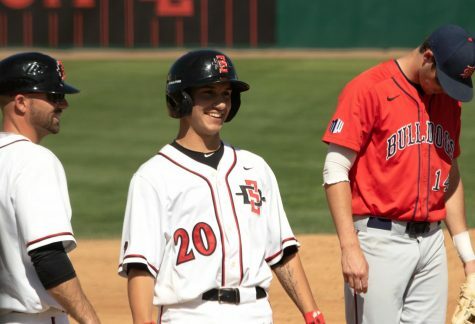 From there, SDSU hit a rough patch, going 2-4 their next six games, which included a loss to MW rival Boise State University. Following the Boise game a switch flipped, the team loosened up, and the Aztecs went on an absolute tear through the MW. “We had a training (that) Saturday I thought was actually kind of fun,” SDSU head coach Mike Friesen said. “We had a good time doing some silly games at the start, then looked at the scouting report, and I thought we came out and played what wasn’t our best game, but we played with a lot of grit. 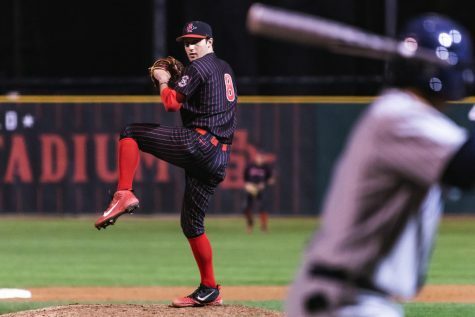 SDSU rattled off 10 straight wins against conference opponents, outscoring its opposition 24-5, and posting five shutouts. Four of them came in consecutive games. Entering the tournament on their home turf as the No. 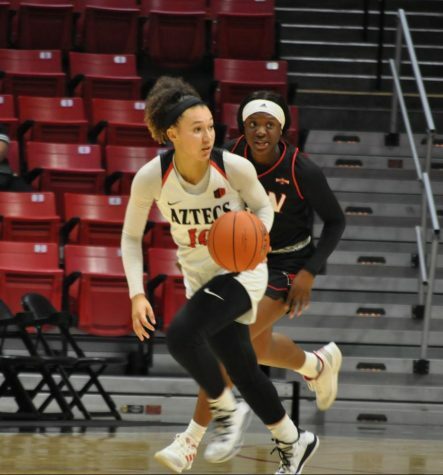 1 seed, SDSU’s bench players stepped up in the semi-final round against Colorado College after freshman forward Leah Pruitt and sophomore defender Jen Rupey suffered season-ending injuries in the game prior. The Aztecs defeated the Tigers 2-0, and went on to play San Jose State University in the championship where they eventually fell 4-2 in penalty kicks. Individually, SDSU had a conference-record nine players named to all-MW teams. They were two away from being able to field a starting lineup. 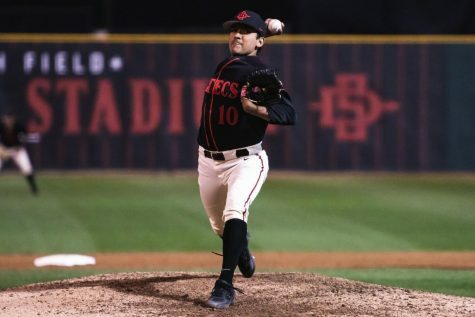 Due to not winning the conference tournament, the Aztecs were stymied from receiving an automatic bid to the NCAA Tournament, and their Rating Percentage Index was too low for an at-large bid. But better days lie ahead for this team. 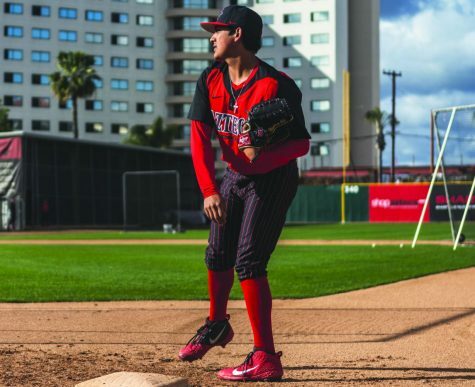 With time to recover, 2016 is looking like it will be a fun year to watch the Aztecs. SDSU will return nine of its 11 starters, while losing three graduating seniors: goalkeeper Melanie Vaughn, and defenders Ashley Hauke and Tiffany Geer. 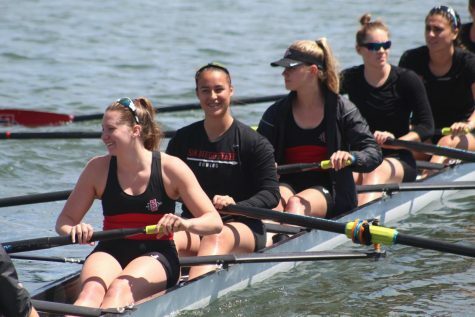 For Hauke, it’s a bittersweet end, and the thing she’ll miss most is the comradery of the team and friendships she has made. Pruitt and Rupey underwent successful knee surgeries last week, and will begin rehabbing to be back in time for next season. In addition, senior defender Meggie Gulczynski will be back after acquiring a medical redshirt from the torn ACL she suffered in the first game of the season. 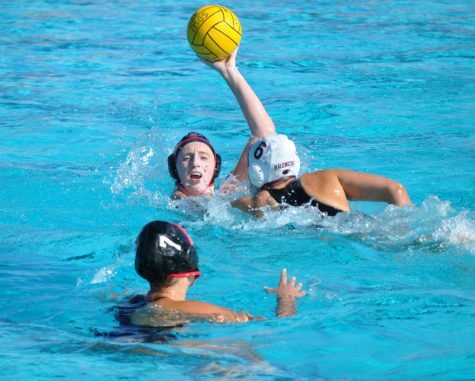 With the returning talent, the Aztecs will welcome two freshman: Bailey Cook from Denver, Colorado and Camryn Wendlandt from Couer D’alene, Idaho, who will both graduate early and begin training with the team in January. With so much to look forward to, and so much to be proud of, the future is bright for a young yet experienced squad, who will be hungrier than ever heading into 2016. The last time the Aztecs failed to make the NCAA Tournament back in 2011, they went on to win 21 games the following season in 2012.